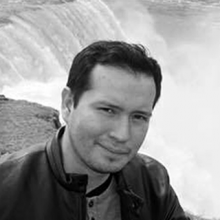 Originally from Peru, Mr. Valle has spent most of his life living in New York City. Being an avid world traveler and having the desire to learn architecture with project management, Mr. Valle continues to use his skills and find ways to improve himself and his surroundings. In 2009, Mr. Valle received a Bachelor’s of Architecture degree from the CCNY School of Architecture. Throughout his career, he has gained experience in the areas of residential design, commercial design, demolition means and methods, safety procedures, sprinklers and fences, support of excavation, alterations, bracing of structure, site visit inspections with reports, and NYC DOB filing procedures. In the recent years, Mr. Valle has also obtained certificates in Project Management from the Rochester Institute of Technology. He is experienced in the life cycle and management success of a project. Learning new software, tracking projects and coordinating resources has helped him evolved in this area of work. Having office management qualities has helped him develop new ways to improve the flow of work.